A strongly Roman Catholic country, the Maltese have invested in their churches and built magnificent edifices to the glory of God. There is a good number of churches to visit in the capital Valletta as well as the impressive Mosta Dome and churches around the island. If you're not especially religious, these churches are interesting from the architectural, historic and cultural point of view. Most contain famous paintings and art treasures. Church of St Paul's Shipwreck - corner of Merchant Street. Collection of paintings. The Jesuit Church designed by Francesco Buonamici, considered by some the most beautiful of the churches. 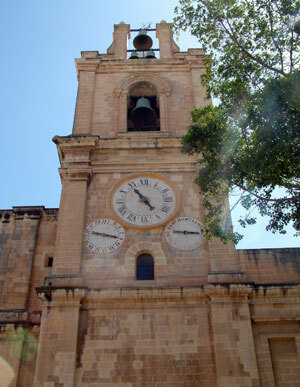 Our Lady of Mount Carmel - on corner of Old Theatre Street and Old Mint Street, a 20th century restoration of Maltese stone with paintings by Italian artists.